Located in West Yorkshire, Keighley is a lovely little town enshrined in beautiful countryside. With a population of over 55,000, there is a good selection of property in the area, ranging from central terraces to stunning detached homes set in the hills. At My Home Move Conveyancing, we have been improving our knowledge of local markets like Keighley since 2002, allowing us to offer our clients a specialist, fixed fee conveyancing service. Should you wish to buy or sell property in Keighley, you’ll require a lawyer to carry out the legal work on your behalf. 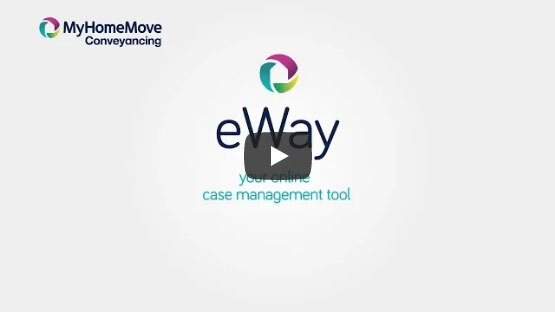 At My Home Move Conveyancing we are proud of our award winning customer service, that is enhanced by being open seven days a week, and complemented by our innovative use of technology and intimate knowledge of the local area. We provide a fixed fee conveyancing service, meaning you know exactly what you’re paying from the outset, with no hidden charges to worry about when you select us to be your Keighley conveyancers. If, for whatever reason, you don’t end up moving, you won’t need to pay us a thing. Each of our clients are assigned a dedicated conveyancer, who is tasked with looking after your case from start to finish, and will provide you with updates along the way. At My Home Move Conveyancing we provide our conveyancing services in Keighley to customers across the local area, from those looking for central period properties off Skipton Road, to characterful mill conversions and sought after spots like High Utley. The average house price in West Yorkshire is £115,152, while in Keighley the overall average sale price over the past 12 months was £152,399. Most sales involved terraced properties, which went for an average of £124,195, while semis were also popular and sold for an average of £148,476. Detached properties fetched £253,577, and the relatively low number of flats £102,476. Found at the confluence of the Aire and Worth rivers, Keighley has a long history as a market town that stretches back to 1305. Lying around 11 miles northwest of Bradford, it is famous for being the terminus of the Keighley and Worth Valley Railway, a heritage steam railway line. The town centre has mostly been pedestrianised, and there are plenty of modern amenities including the Airedale indoor shopping precinct. There is a good range of schools for families with children to consider, including Kildwick CofE, Lothersdale, Oakworth and Parkwood at primary level. Secondary options include the Holy Family Catholic School, South Craven School and Oakbank School on Oakworth Road. Leeds City College also has a campus in town, Keighley College, which is close to the railway station on Dalton Lane. From this station it is possible to take a train to Bradford Forster Square in less than 25 minutes, while Leeds is around half an hour. Due to the town’s rural location there are no motorways found in the immediate vicinity, with the M62 lying to the south of Bradford and Leeds, the A1(M) to the east, and the M65 to the west via the A6068. Leeds Bradford Airport meanwhile is less than 15 miles from Keighley. All properties in Keighley will fall within one of the following council tax bands.